Question: Our question is about celebrating the Mawlid (the Prophet's birthday), is it Bid`ah (innovation in Islam)? I heard in some places and from some scholars that it is a good Bid`ah and Allah knows best, may Allah bless you! 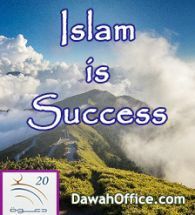 Answer: Celebrating the birth of the Prophet (peace be upon him) and righteous people is Bid`ah which began in recent centuries, after the best three centuries of Islam: the first, the second and the third centuries after Hijrah. 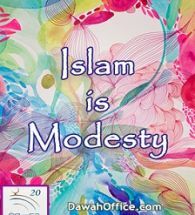 It is one of the Bid`ahs which some people have introduced into Islam out of love for such celebrations, thinking that it is a good thing to do. The correct opinion, according to verifying scholars, is that such celebrations are Bid`ah. All birthday celebrations, including but not limited to celebrating the birthday of the Prophet (peace be upon him), are Bid`ah. Why is this so? 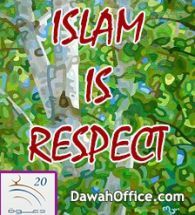 Because the Prophet (peace be upon him), his Sahabah (Companions of the Prophet), the Rightly-Guided Caliphs and the early generations of Islam did not do it. 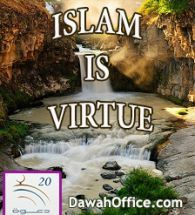 Certainly, goodness lies in following their steps and not following the invented practices which succeeding generations introduced into Islam. 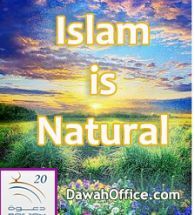 It is authentically reported that the Prophet (peace be upon him) said: Beware of newly-introduced matters (in religion). “He (Imaam Ahmad) did not make takfeer of the Murji’ah who say that faith is saying without action, nor did he make takfeer of those who considered ‘Alee more virtuous than ‘Uthmaan, rather the texts are clear from him that he prevented even takfeer of the Kawaarij, the Qadariyyah and others besides them. In fact, he only make takfeer of the Jahmiyyah for their denial of Allaah’s names and attributes, and this is because of their clear and apparent contradiction to what the Messenger (saw) came with, since the reality of their claim amount to denial of the Creator. But he suffered at their hands until he knew their reality very well, seeing that it was founded in ta’teel. Indeed takfeer of the Jahmiyyah is well known from among the Salaf Imaams. "ظَهَرَ الْفَسَادُ فِي الْبَرِّ وَالْبَحْرِ بِمَا كَسَبَتْ أَيْدِي النَّاسِ لِيُذِيقَهُم بَعْضَ الَّذِي عَمِلُوا لَعَلَّهُمْ يَرْجِعُونَ"
Whoever contemplates on what is going on in the world, will find that the reason for every goodness is due to Tawheed and worship of Allaah تعالى and obedience to His Messenger صلى الله عليه وسلم. And as for all the evil in the world - the Fitnah (trial), the hardship, the drought, being overpowered by the enemy and other than that - then the reason for it is opposing the Messenger صلى الله عليه وسلم and calling upon other than Allaah (i.e. Shirk). So whoever sincerely contemplates on this, will find that this is the case – specifically in himself and in other than him, generally and specifically. And there is no might or power except with Allaah.